In order to keep up with our increasingly busy schedule we are proud to introduce another new vehicle to our fleet. Please meet the latest (and most powerful!) member of our team — the 7.5 Tonne Fuso Canter! Transport logistics are an important part of our operation. 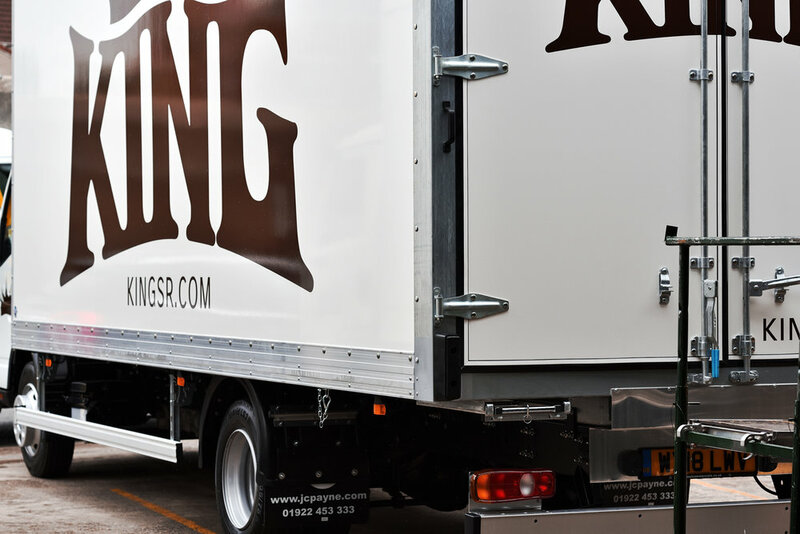 Our largest productions can require specialist transport — either articulated lorries or 18 tonne vehicles, but there is still a great business case for running our own small 7.5 tonne trucks (we had at least one for over 15 years!) These allow access to 7.5 tonne restricted zones and are often big enough for small and medium sized productions. The issue is most 7.5 tonners only have a payload capacity of around 2.5 tonnes which makes them very easy to overload. After much research we discovered the Fuso Canter range of light trucks: they're light and have outstanding payload capacity. They boast high manoeuvrability and efficient Euro 6 engines essential for trips into London's low emission zone . We specified a powerful 180 BHP Duonic model with a 6 speed auto gearbox and start stop technology. We also had a 20ft box specially made by JC Payne to our requirements fitted with barn doors and no tail lift (we always use a ramp — tail lifts are too slow!). As part of the Daimler family, the Canter was supplied through the Mercedes-Benz dealership network which gives us extra peace of mind. When delivered, the first trip was to our local weightbridge — the moment of truth. Our vehicle has a payload of 3750 KG! 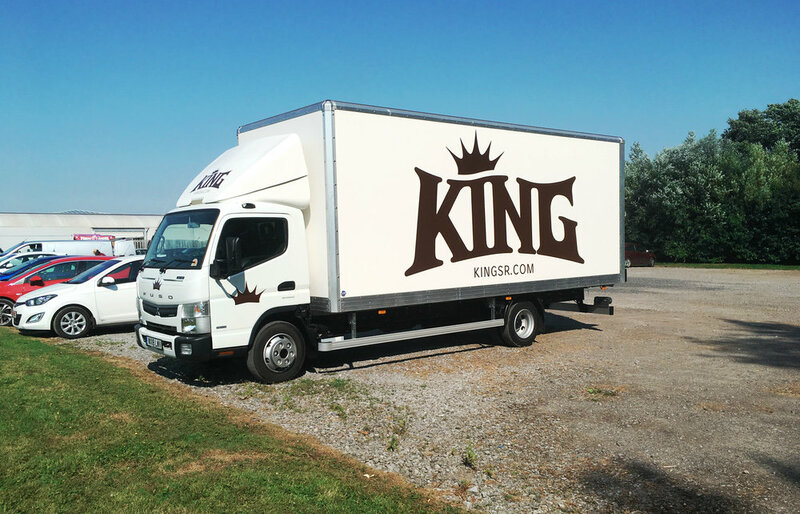 Placing King livery didn't take long so we've been very pleased to be able to put it to use straight away! We look forward to use it a lot as it is such a versatile vehicle and it definitely enhances our ability to serve our existing and prospective customers even further. If you see our team, driving it in its distinctive brown livery on the road, give us a wave!